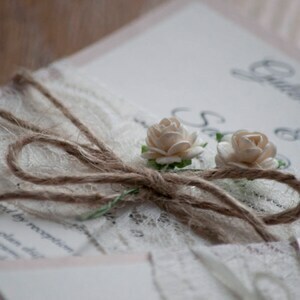 Each handmade wedding invitation is finished off with a cute ribbon bow. 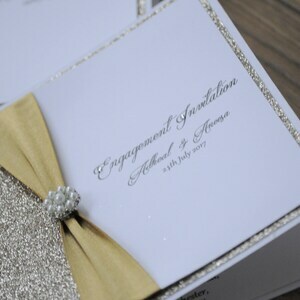 It's made with high quality card bright white card, all the information is printed on high quality white card. 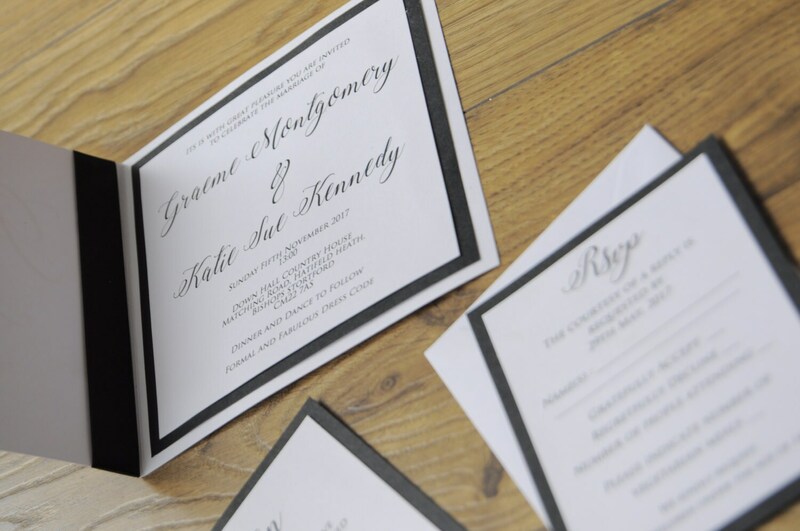 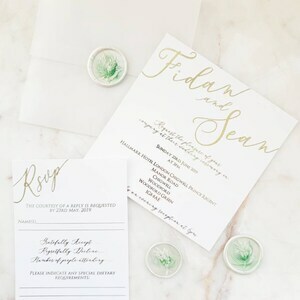 The invitation includes a RSVP and envelopes . 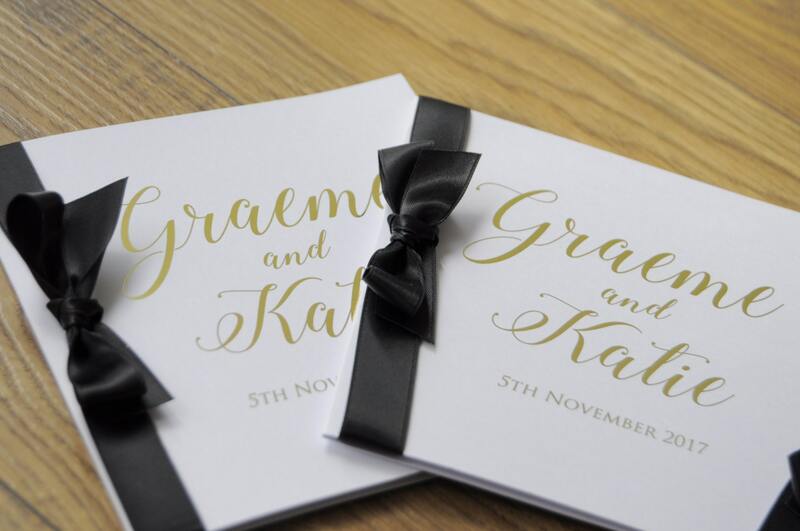 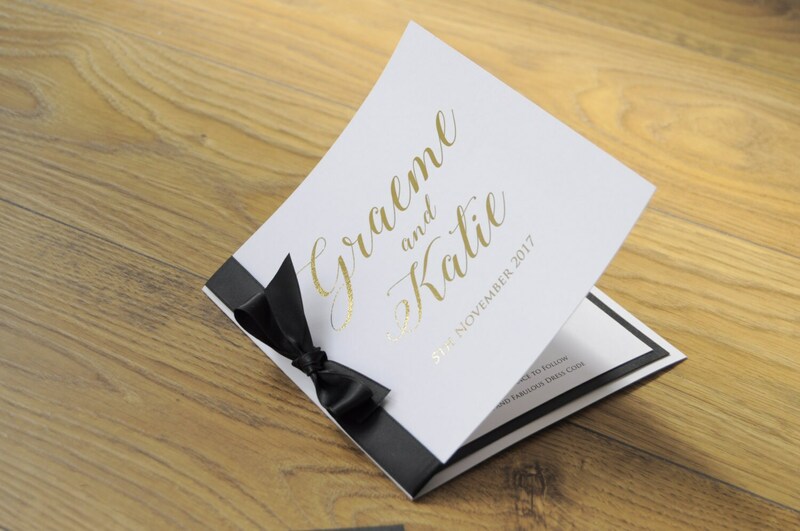 To make these extra special they are foiled on the front, foil available in various colours. 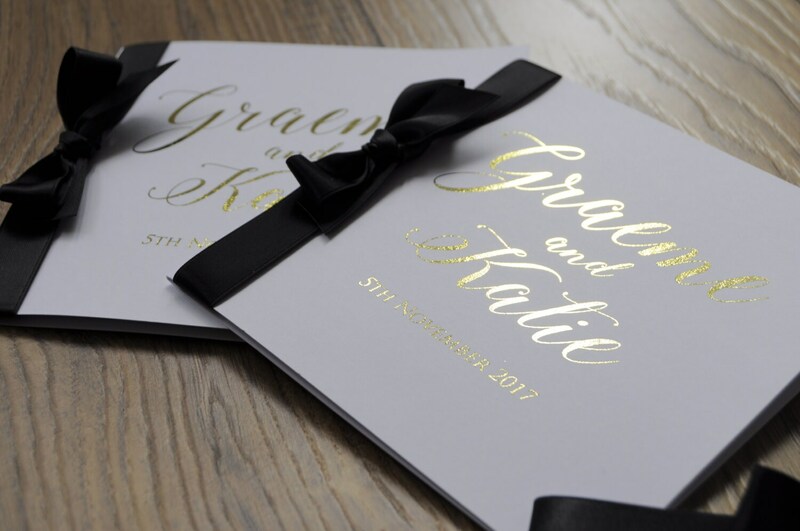 Prior to printing a PDF file will be sent to you for approval.